The Interview project with Professor, Nazarbayev University (NU) was interesting and important experience as we have discussed and learned many crucial issues in the field of education. Professor gave the definition of the notion “Leadership” from own perspective. Speaking about a leader, Professor mentioned attributes and qualities an effective leader should possess. Professor pointed out the connection between leadership and management emphasizing the “family resemblance” between these two notions. Particularly important and interesting to me was Professor’s opinion about leadership skills being inborn or obtained, support of collegial model of leadership and recommendations given in the end of the interview. According to Professor (“Personal communication”), leadership is a natural ability to implement projects in different levels when a leader and his/her team are equally involved in this process. It was interesting to realize that Professor shares my viewpoint about what attributes and qualities an effective leader should have. In Professor’s point of view, a good leader should know “where you are, where you want to go and how to get there” (“Personal communication”). Moreover, a leader should be able to motivate and lead his/her team members. Much attention Professor paid to strategic vision of a leader saying that a leader should possess an ability to think strategically foreseeing future result of his/her plans. Here, Professor gave a good example of an effective leader in higher education saying, “Tim Raegan, the Dean of Graduate School of Education is someone with a lot of experience, very good leadership skills because he knows exactly what the situation of education is around the world. He also knows what is best, and how to best import education, what kind of reforms we need to put in place” (“Personal Communication”). I quite agree with Professor because we observe that Dr. Reagan is intelligent and possess such important personal qualities for a good leader as openness to students and staff, responsibility and decency. One thing that was of great interest for me was Professor’s words about inborn or obtained skills of being a leader. Professor believes that “If you are not born a leader, you cannot be a leader. To be a leader takes some specific skills and talents” (“Personal communication”). Interestingly, Professor’s opinion contradicts Dr. Sagintayeva’s, Director of NU GSU opinion who, in her turn, is sure that it is possible to become a leader. The only thing you need is to have some leader skills, be responsible and take professional training courses in Kazakhstan or even abroad to improve your leader skills and enrich knowledge. Here, I would agree with Dr. Sagintayeva as I myself had useful experience of being a leader of a big education department in college. This work helped me to develop my leader skills, work with other people and taught me to be worthy of being called a leader. What impressed me next, Professor’s focus on collegiality, which in his words, means solving problems and overcoming challenges collectively to make right decisions. From my experience, I can add that only working collaboratively you can achieve success in everything you do. In the end of the interview, Professor was asked to give some good advice from own experience. The advice to learn to work in teams, listen to other people’s opinion, respect each member in the team, make any decisions collegially and be ready to accept any changes in working place will be helpful for our future career and the whole life. In conclusion, although it was not easy to conduct an interview, we felt as real researchers being excited and privileged. This project was unforgettable experience in terms of important in education issues as being an effective leader, connection between leadership and management, idea about inborn and obtained leadership skills and collegial model of leadership. In your opinion, what are the attributes and qualities of an effective leader? And do you think leadership skills are inborn or obtained? The issue of women in leadership position has been discussed for many years and it is relevant. In the past, speaking about gender equity in leadership, only problems that women encountered were discussed. Nowadays, authors write about this more positively trying to show the beneficial sides. The authors Grogan and Shakeshaft (2011) do the same. They claim how it is valuable to follow approaches in leading that women propaganda. As the literature shows, being in leading position, first, women had many impediments. By their character, women are quite emotional and have compassion to others. But in the past, it was impossible for women to show their emotions and feelings. Being a leader, they had to behave, act and even think like men. It was stressful because women got used to take care of their families. Changing the stereotype seemed challenging. Day by day, women realized that they should change the ideology of “command – and control” leadership approach (Grogan and Shakeshaft, 2011, p.84). Now, their role as educational leaders was to inspire, motivate and direct their staff in the right way to receive good results in teaching children as the priority was to serve children for their benefit. Here, the problem was that men were against this ideology. Their behavior was egoistic. For them, the priority was their career (pp.87-89). Currently, women leaders freely create and implement their own leadership approaches. They aim to develop communities based on collective values and actions. Their objective now is to relate rather than dominate. Women leaders realize that to be powerful, means to have trustful relationship with people surrounding them (p.93). They make changes prioritizing learning environment, social justice and collective vision (pp.94-95). Now, they have great desire to “make things better” (p.90). The authors, Grogan and Shakeshaft (2011) give very accurate representation of women in their book. 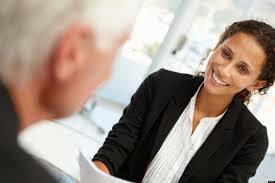 Being women themselves, they show great support to women who are in managerial positions. Although the authors show some struggle between the vision of men and women on this topic of leadership, they also highlight changes of modern time. Nowadays, women are heard and accepted as leaders. Nobody tells them how to lead. They “lead as they want to lead, without any explanation” (p.97). In new century, women decide what good leadership is and what is not, and not they are leading like men, but “men are leading like women” (p.97). The discussion of women leadership in this resource is quite relevant to Kazakhstani context. If to compare the past and present visions of women and men leadership and gender equity in the U.S. and Kazakhstan, we can notice many similarities in development of this relevant topic. Having read this resource, I can surely say that it is really helpful to understand that mission of modern women leaders is to serve the society making decisions freely, without pressure of environment. Now, I fully understand what will be my role as a future woman leader. To sum up, the topic women leadership has its past and present. If past is associated with many hindrances, present, vise – versa, is beneficial and successful. The authors, Grogan and Shakeshaft (2011) made successful “historical excursion” for readers comparing women leaders in the past with present ones. This “excursion” is helpful as for women leaders so for men leaders. Do you think there are any differences between women in leadership in the present and past? Grogan, M. and Shakeshaft, C. (2011). Beyond gender? Women and educational leadership. Jossey – Bass leadership library in education, 83-100. Using blogging is relevant and useful. People use blogs for sharing their thoughts, ideas and experiences: personal, professional and public. It is interesting that blogging is also used in academic sphere to motivate students to study and give them opportunity to improve their writing and analytical skills, develop skills in using new technologies, and even build their confidence. In the new era of networking, blogging is popular and used by people of different ages. Some of them prefer to have personal blogs where they put memorable experiences from their lives. They can be in different formats: photos, pictures, favorite songs, audio and video records. Professional blogs are created, for example, by job organizations to share experiences, information or new knowledge. To discuss public issues, news in the country, political views and so on, we create public blogs. Teachers use blog to build students community, sharing tasks, announcements and readings. It helps to develop students’ sense of audience and voice and make them feel confident in expressing their own points of view. Using blogs in the classes is helpful for students in practicing ability to write. Reading their fellow students’ posts, they react and give comments on the topics discussed, and make peer – reviewing. This is beneficial and useful for transferring into writing academic essays, assignments and other writings developing analytical thinking. Blogging is a good experience and tool for making first steps for students who plan to connect their future with digital technologies and media. I think it is excellent idea to use blogging in English for Professional Purposes course because it will not only improve our writing and analytical skills but also gives opportunity to communicate and make friends with other students. The relevance and benefits of using blogs is obvious. Blogging makes a person a good writer and thinker; raises students’ interest to studying through using new technologies, and makes them confident and open in sharing their thoughts, feelings and emotions. Moreover, it is up to each person to choose what type of blogs to use personal, professional or public. Each of them is exciting, interesting and useful by its own. What are the advantages of blogging to you? 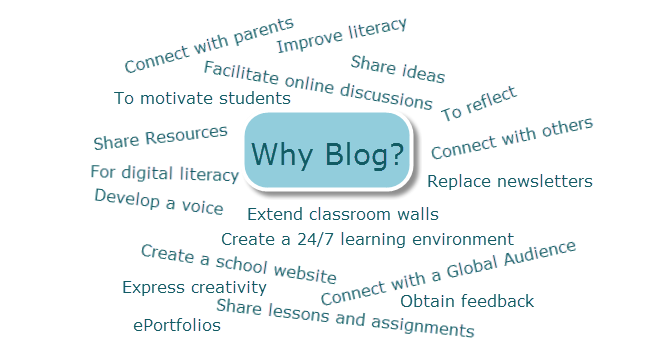 Using blogs in the classroom (n.d.). Sweetland Center for Writer. University of Michigan.